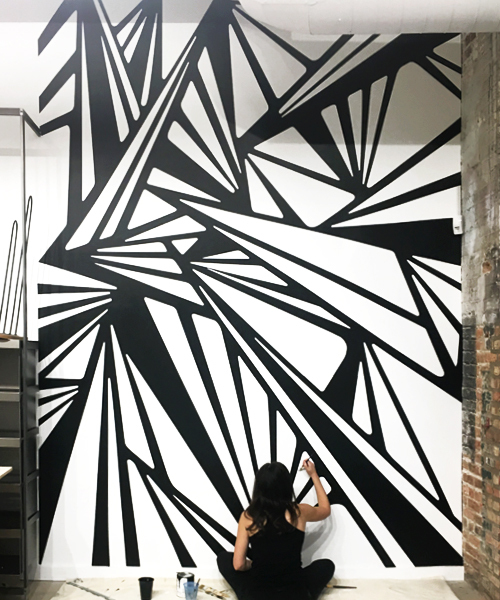 This entryway mural was created for the brand new Fulton Market location in Chicago. 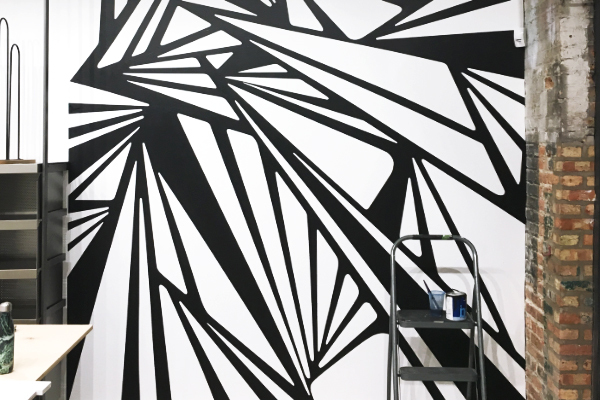 It measures 8x12' and reflects the energy of the "The Local", a new Lululemon community-driven concept store. The artworks high contrast and strong lines are reflective of movement, energy, flow, strength and welcomes creative interpretation.